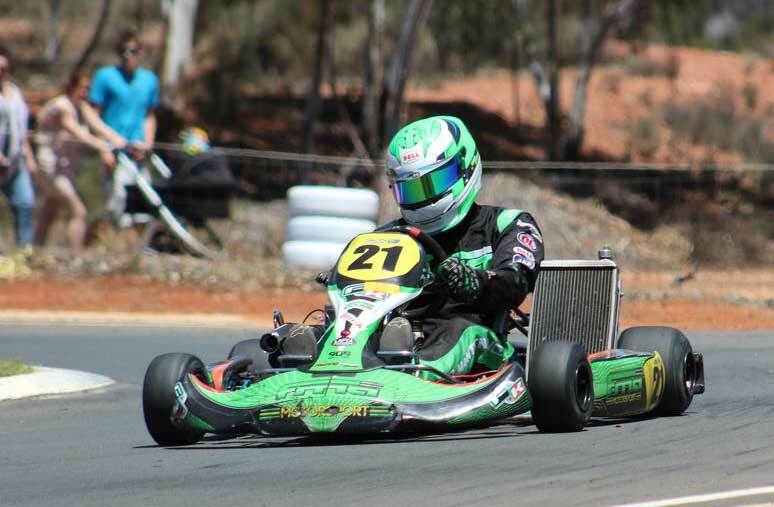 The Newland and Associates WA KZ Series sets up for round 2 this weekend at Wanneroo. A strong field is set to take the grid, but missing will be Simon ‘Gumby’ Gwilliam, who has been sidelined after undergoing surgery last week. Gwilliam, who is well known for his qualifying mastery and ability to be consistently in the top 5, will be out for a few months. This will be a major blow to his chances of taking out the title. “I tore my ACL playing indoor cricket a few months back” Gwilliam said. Gwilliam, known as one of the nice blokes in WA Karting, has offered his Kart to young hopeful Ben Harders to compete. “I offered the kart to Ben as I really like the way he goes about his karting. Ben is one of the fastest young drivers in the country, so look out for him to be a surprise packet this weekend.